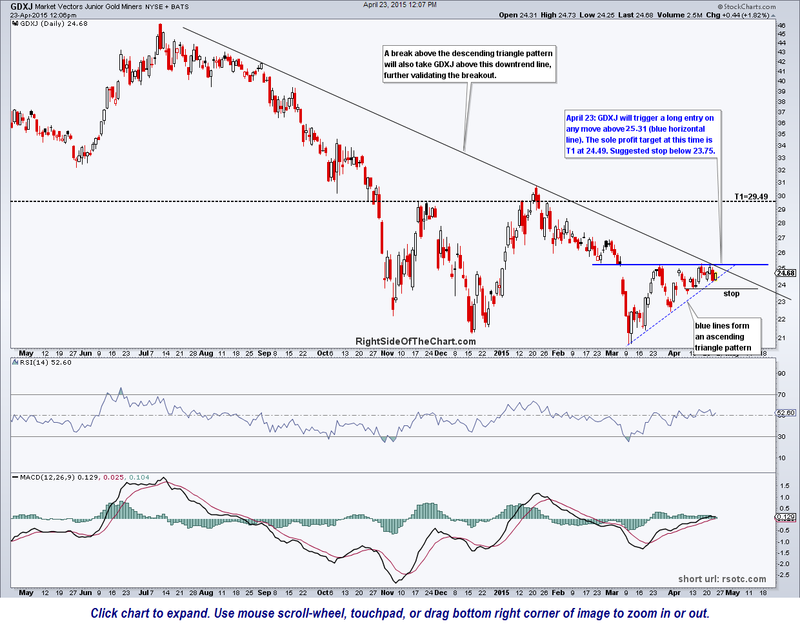 GDXJ (Junior Gold Miners ETF) will trigger a long entry on any move above 25.31 (blue horizontal line). This would be a breakout of the ascending triangle pattern defined by the blue horizontal resistance line and the dashed blue uptrend line off of the March lows in GDXJ. A break above the descending triangle pattern will also take GDXJ above this downtrend line, further validating the breakout.The sole profit target at this time is T1 at 24.49. Suggested stop below 23.75.